Julia Barretto is a Filipino actress born in Marikina, Metro Manila. Julia rose to prominence by portraying the role of Anna Calugdan in ABS-CBN’s Kokey. She played Mira/Bella in the 2014 melodrama fantasy series Mirabella and starred as a bida kontrabida in And I Love You So. She also played Kath in the 2016 Filipino teen romantic film, Vince and Kath and James. In 2013, she won the Most Stylish Rising Star at the Candy Style Awards. 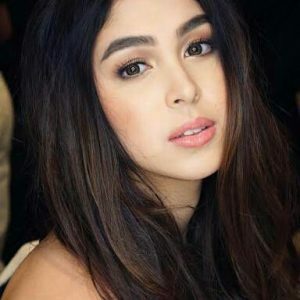 Born Julia Francesca Barretto Baldivia on March 10, 1997 in Marikina, Philippines, she is the daughter of actors Dennis Padilla and Marjorie Barretto. She has two younger siblings, a sister named Claudia, and a brother, Leon, and an older maternal half-sister, Dani. She is the niece of actresses Claudine Barretto and Gretchen Barretto. She studied at Miriam College in Quezon City, followed by St. Paul College in Pasig. She was once in a relationship with Joshua Garcia. *She was born on March 10, 1997 in Marikina, Philippines. *She is the daughter of actress Marjorie Barretto with comedian Dennis Padilla. *She is a 2015 graduate of St. Paul College. *She is a talent of ABS-CBN and Star Magic. *One of Yes! Magazine’s 100 Most Beautiful Stars in the World (2013).